The growth of industry and commerce in the Black Country was made possible by a great improvement in the roads, and the building of canals and railways. This allowed raw materials to easily be brought into the region, or transported around it; and finished products to be quickly delivered to many parts of the country. Walsall was at a disadvantage when compared to neighbouring towns. The roads were in a particularly bad condition, and were described as narrow, tortuous, and ruinous. They were ill-kept and so narrow that in most places there was not enough room for two vehicles to pass each other. The situation was made worse by the hilly nature of the town. Much of the traffic passed along High Street, either ascending or descending the steep hill, which in winter months became impassable due to a large sheet of ice produced from the water that came from the pump at the top of the street. The sharp turn into Rushall Street at the top of the hill was also difficult because it was only about ten feet wide. In the 17th, 18th, and 19th centuries, roads were improved and maintained by turnpike trusts, which were bodies set up by individual Acts of Parliament. The trusts had powers to collect tolls to maintain roads, and often erected toll houses for the purpose. A trust was established for 21 years, after which the responsibility for the road would be handed back to the local parish. Often trusts would apply for an extension, and exist for a longer period. They were known as turnpike trusts because of the similarity of the gate which controlled access to the road, to the turnpike barrier used to defend soldiers from attack by cavalry. 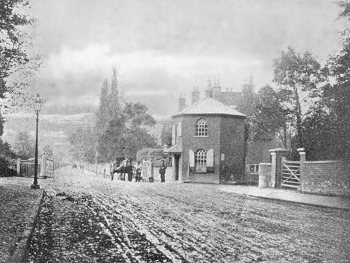 The toll house and toll gate, Penn Road, Wolverhampton. By the 1830s there were more than 1,000 trusts, maintaining around 30,000 miles of road in England and Wales. From 1766 trusts were required to build milestones to indicate the distance between principal towns on the road. Road users were obliged to follow new rules of the road, including driving on the left, and not damaging the road surface. By the 1740s the dangerous state of the roads in Walsall, and the high cost of carriage caused severe problems for the emerging industries. The first turnpike Act affecting Walsall was passed in 1748 as a result of a petition from Wolverhampton and the surrounding areas for improved roads between Birmingham and Wolverhampton, which included the road to Sutton Coldfield, and the road from Sutton Coldfield Common to Walsall. Sadly little had been done by 1769 when the powers of the trust expired. The roads were still in a bad state, and continued to deteriorate. In 1766 an enquiry was held into the poor condition of local roads. Mr. Jacob Smith was examined, and stated that “the roads leading out of the town were very ruinous, narrow and incommodious.” Mr. Joseph Curtis said that he thought it “the worst town to pass through he ever saw.” The Rev. Sir Richard Wrottesley stated that he “has been stopped an hour by a carriage which was unloading, before he could pass in his post-chaise.” After the enquiry a turnpike Act was obtained, and before the year was out, the roads from Walsall to Lichfield, Walsall to Dudley, Walsall to Darlaston and Wednesbury, Walsall to Churchbridge, and Pleck Road were turnpiked. Under the terms of the Act, Ablewell Street was to be repaired, and Bridge Street (originally called New Road) was ordered to be built. The Act states that “it would be of great public convenience if a road was made from the ‘Brook’ in Walsall over certain lands to Ablewell Street, and if Ablewell Street was repaired as far as the turnpike road leading from Walsall to Birmingham.” The new route bypassed Digbeth and High Street, and greatly improved the route into the town from the south east. Islington toll house and toll gate. From the Illustrated London News. The improved roads had a great impact on traffic, which soon increased through the town. It was a good time for coaching inns because of the increased number of coaches that now travelled via the town. Aris’s Birmingham Gazette of 30th November, 1778 includes an advert for the Shrewsbury, Wolverhampton, Walsall, and Birmingham Fly. The fare from Walsall to Birmingham was £1.7s.0d inside, or 13s.6d. (half fare) outside. In 1780 a coach ran from Holyhead to London via Walsall and Birmingham. 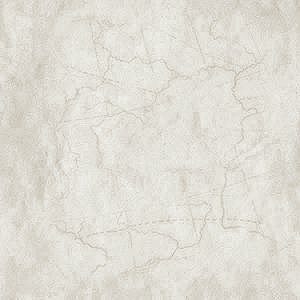 The fare from Walsall to London was £1.11s.6d. In 1784 Mr. Fletcher of the recently built George Hotel, obtained an Act of Parliament for the building of the road from Walsall to Stafford, and the widening of the Birmingham Road as far as Hampstead Bridge. In 1788 a turnpike Act provided for the repair and improvement of the roads to Wolverhampton, Sutton Coldfield, and Hampstead Bridge. It also allowed the reconstruction of the Birmingham Road. Another turnpike Act, Passed in 1793 allowed the road from Churchbridge to Stafford to be improved. This reduced the journey to the north by four miles and greatly improved the town’s link with Chester, Liverpool, and Manchester. It also encouraged traffic heading north from Birmingham to pass through the town, increasing the prosperity of the local inns and shops. In 1831 Bradford Street was built to provide a shorter and easier route to Darlaston and Wednesbury. The local canal network, the Birmingham Canal Navigations (BCN) was built to transport coal from the Black Country coalfields in the Wednesbury area into Birmingham. James Brindley surveyed a possible route in 1767 and during the following year an Act of Parliament was passed to allow the construction to go ahead. James Brindley was appointed as engineer to the newly formed Birmingham Canal Company, and work soon got underway. The section from Birmingham to Wednesbury opened on 6th November, 1769. The canal reached Wolverhampton in August 1771, and the final section to Aldersley Junction opened on 21st September, 1772, just 8 days before Brindley's death. The canal was a great success. Large quantities of coal, limestone, sand, and Rowley ragstone were transported far more cheaply and quickly than ever before, benefiting both the canal company and the mining companies alike. In 1770 an attempt was made to form a company to build a canal from Walsall to the Trent and Mersey Canal near Lichfield. A meeting was held at the Bull’s Head in Walsall to get the project underway, but it never materialised. The first canal to reach the outskirts of Walsall town centre, the Wyrley & Essington Canal was planned to link the coalfields of Wyrley and Essington to the Birmingham Canal at Wolverhampton. An Act of Parliament was passed on 30th April, 1792 to allow the work to commence. Much of the finance came from Wolverhampton businessmen, principally the Molineux family. Work soon started under the canal company's engineer, William Pitt. There were two branches, one to a colliery at Essington and the other to Birchills. The canal joined the Birmingham Canal at Horseley Fields in Wolverhampton, and opened on 8th May, 1797. In 1840 the canal was acquired by the BCN. In 1794 another Act was passed to allow the company to extend the canal to join the Birmingham & Fazeley Canal. As a result the canal extended from Birchills, through Bloxwich, Pelsall and Brownhills to the Birmingham & Fazeley Canal. Being a contoured canal and following an extremely circuitous route, it became known as "The Curly Wyrley". When the building of the new canal was announced, the Birmingham Canal Company began to think about building a canal from the end of the Broadwaters Extension to Walsall via Darlaston. On 17th April, 1794 an Act of Parliament was passed to allow the work to begin, and in 1799 the Walsall Branch of the Birmingham Canal Navigation opened from Walsall Town Wharf, near Marsh Street and Navigation Street, to Moxley, which was used as a base for the many navvies that were involved in the work. The locals far from welcomed them, except for the publicans and beer sellers. One of the larger features is James Bridge aqueduct which carries the canal over Bentley Mill Way and the River Tame. This was completed in 1799 and is now a listed building. The Walsall Branch, the first through route between Walsall and the Birmingham main line was completed in 1809. The final link in Walsall’s canal network, which opened in 1841, joined the Birmingham Canal to the Wyrley and Essington Canal. 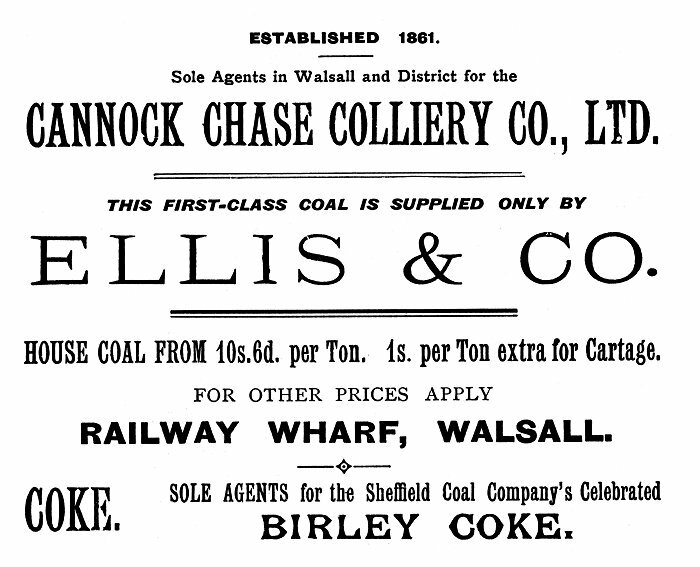 It allowed coal to be brought from the Bloxwich and Pelsall coalfields into the Walsall basin. Following the success of the Liverpool & Manchester Railway, which opened on September 15th 1830, many schemes were proposed for the building of other railways. The earlier problems due to lack of capital no longer applied and investors were easy to find. Other towns and cities could see the benefits that would come from better links between the nation's centres of commerce and industry. Birmingham businessmen were planning a link to London, and the group of financiers that were involved with the Liverpool & Manchester Railway could see that Birmingham would be an ideal goal for expansion. In 1831 the Warrington & Newton Railway opened and ran about 5 miles southwards from Newton Junction at the centre of the Liverpool & Manchester Railway to Warrington, and the River Mersey. This was considered to be an ideal starting point for a route to Birmingham, and after much surveying, a route was found that was practical and avoided conflicts with landowners. The Bill for the Grand Junction Railway, which was named after the Newton Le Willows junction, was passed in Parliament on May 6th, 1833. This was the same day on which the Bill for the London & Birmingham Railway was passed, and so work on the line quickly proceeded. Three engineers were employed to share the engineering duties. They were George Stephenson, who was in overall control, Joseph Locke, who looked after the construction of the northern half, and John Rastrick who looked after the construction of the southern half. Joseph Locke was determined to prove himself and laboured vigorously in the construction of the line. Stephenson and Rastrick were involved in other work, and not fully committed to the project. Rastrick resigned in 1833, and Stephenson resigned in 1835. The last 14 miles were quite troublesome and produced many unexpected problems. The first was a small aqueduct carrying the Bentley Branch of the Birmingham Canal across the Darlaston Green Cutting. A temporary canal was built as a diversion while the aqueduct was built. It used a cast iron liner to contain the water, but when it was filled, a severe leakage developed. The canal had to be re-diverted so that the problem could be solved. This took a great deal of time and was the last part of the construction work to be completed. On the outskirts of Birmingham a detour was needed around Aston Hall which required a further Act of Parliament. This resulted in the hasty design and construction of several extra bridges, viaducts and embankments, which greatly increased Locke's workload. The construction of the line in record time was a great triumph for Locke. The average cost being less than the estimated £20,000 per mile, which was very cheap when compared with the £46,000 per mile for the London & Birmingham Railway. 1st and 2nd class fares from Bescot Bridge. Considering that this was the first long-distance line in the world, its opening on July 4th, 1837 was a very quiet affair. A train pulling 3 coaches and a mail coach set off from Liverpool, and a similar one set off from Manchester. They met at Newton Junction where both trains were combined and hauled southwards to Birmingham by the locomotive ‘Wildfire’. Bescot Bridge, also known as Walsall Station was the town’s first railway station. It stood on the Wednesbury road near to the borough boundary. A branch to Walsall had been planned, but was not built. Passengers travelled between the George Hotel and the station in a small yellow one-horse omnibus in the charge of John Cox. There were two trains daily, each way. Bescot Bridge Station closed in 1850, and was reopened in 1881 as Wood Green Station. It finally closed in 1941. The South Staffordshire Railway was incorporated on 6th October, 1846 by an amalgamation of two companies, the SS Junction, and the Trent Valley, Midlands & Grand Junction. They had powers to construct railway lines from the Oxford, Worcester & Wolverhampton Railway at Dudley, to Walsall, and on to the Midland Railway at Wichnor. There were to be spurs from Pleck to James Bridge, to the Grand Junction Railway at Bescot, and the Trent Valley line at Lichfield. Work began at Walsall on the section to Dudley. The first part from Walsall to the Grand Junction Railway at Bescot (1¾ miles long) opened on 1st November, 1847, with a temporary station at Bridgeman Place, off Bridgeman Street, opposite the junction with Station Street. There were four trains each day running between Walsall and Birmingham Curzon Street. Trains left Birmingham at 9 a.m., 11 a.m., 4 p.m., 7.15 p.m., and left Walsall at 9.50 a.m., 11.30 a.m., 4.45 p.m., and 8.30 p.m. They were worked by the newly formed London & North Western Railway, founded on 16th July, 1846 by an Act of Parliament which allowed the amalgamation of the Grand Junction Railway, the London & Birmingham Railway, and the Liverpool & Manchester Railway. Trains from the northern part of the London & North Western Railway were still met at Bescot Bridge by John Cox and his omnibus. From Osborne's Guide to the Grand Junction Railway, 1838. Building work on the new railway continued towards Dudley, which had to be reached by 1st November, 1849. The Act stated that if the company failed to reach Dudley by that date, the Birmingham, Dudley & Wolverhampton Railway would have running powers into Dudley. The line was completed just in time, and a special train ran from Pleck to Dudley on the day of the deadline. Because the stations were far from complete, regular services didn’t start until the following year. Goods services began in March, passenger services on 1st May. While this had been going on, work progressed on the northern section from Walsall to Lichfield, through Alrewas, and to Wichnor Junction, then on the Midland Railway line to Burton-on-Trent. The new line opened on 9th April, 1949. It was 17¼ miles long. Work on the northern section also involved the building of Walsall’s first permanent railway station in Station Street, a Jacobean-style building designed by Edward Adams of Westminster. When the new line opened, a celebration dinner was held at Lichfield, along with a ball at the Guildhall. The new station was incorporated into the 1884 extension to Park Street. It was burnt down during a severe fire in 1916, and later rebuilt. It reopened in 1923, and survived until demolition in 1978, when the existing station was built. The carriage and wagon stock was obtained from Joseph Wright and Sons, Saltley, Birmingham. Carrying its later L&NWR number 297. Carrying its later L&NWR number 301. Carrying its later L&NWR number 181. In 1850 an Act of Parliament was passed to allow the South Staffordshire Railway board to lease the railway to the company’s engineer John Robinson McClean for 21 years. The railway company realised that the amount of traffic on the line would probably fall when the London & North Western Railway’s Stour Valley Line opened. Under the terms of the lease McClean had to pay a deposit of £10,000, and guarantee a clear dividend of 2 percent in the first year, and 4 percent afterwards, rising to 5 percent after 14 years. 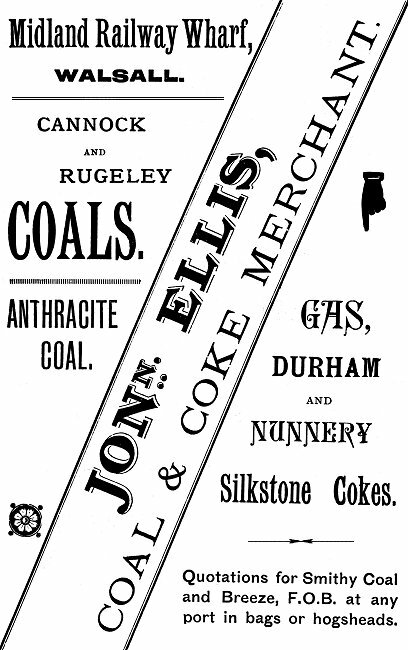 The next development on the line took place when McClean obtained mining concessions in the Cannock coalfield and used the railway to transport his coal. He built a new branch to Cannock with stations at Bloxwich, Wyrley & Church Bridge, and Cannock. In 1861 McClean relinquished his lease to the London & North Western Railway, which immediately entered into a battle with the Midland Railway over its section from Wichnor Junction to Burton-on-Trent. The Midland relented, giving full running powers to the London & North Western, but would soon begin to play an important role in Walsall’s rail network. By the 1860s most of the local manufacturing towns were easily and quickly accessible by train from Wolverhampton. Two notable exceptions were Willenhall and Walsall. Although they already had railway stations, it was necessary to change trains during a circuitous journey. An end to the tedium was in sight when the Wolverhampton & Walsall Railway was incorporated on 29th June, 1865. The route was 8 miles long and took 7 years to complete, with four intermediate Acts being passed before the operation began. The line started at Wolverhampton High Level station and ended at Walsall, with five intermediate stations in between. They were at Heath Town, Wednesfield, Willenhall, Short Heath, and North Walsall in Bloxwich Road. The railway opened on 1st November, 1872 and was operated jointly by the London & North Western Railway and the Midland Railway. Disagreement arose between the two companies and legal proceedings followed, which resulted in the L.N.W.R. buying the Wolverhampton & Walsall Railway in 1875. The London & North Western realised that they would be able to sell the line to the Midland Railway for a profit because of the building of the Wolverhampton, Walsall & Midland Junction line. This was an extension from the Midland mainline onto the Wolverhampton & Walsall Railway, and would provide a direct route into Wolverhampton for the Midland Railway. The line was sold to the Midland Railway on 1st June, 1876. On 31st July, 1876 the L.N.W.R. ceased to run services on the line. Birmingham's first railway station. From Drake's Road Book of the Grand Junction Railway, 1838. The Wolverhampton, Walsall & Midland Junction line, and the Walsall & Water Orton line, which joined the Midland mainline, opened on 1st July, 1879. The Midland Railway now had a direct route into Walsall, and built its own goods yard on the site of the old racecourse. The Midland’s running powers into Wolverhampton High Level station ended on 30th June 1878 and the company decided to build a railway station for passengers in Wednesfield Road. An Act of Parliament allowing construction was passed on 28th June, 1877, but in the end the company built a goods depot instead. By the time the local rail network had been completed, Walsall had all of the necessary links in place to ensure that its manufacturers could easily and quickly acquire raw materials, and that the finished products would be rapidly transported to destinations throughout the country. The improved roads and the railway also had an impact on the town centre, and the market. For the first time shoppers could easily travel there, and so new shops appeared, and the town became more prosperous. Thanks to the railway, locals began to travel to more distant places for holidays and days out. Excursion trains for both adults and children were well supported. An early popular destination was Lichfield and its cathedral.